Don't wait months for your big bag unloader. We can ship it to you in as little as two weeks. Maybe you're ready to slash costs on raw materials and labor by moving from 50 lb. bags to FIBCs or super sacks. Or maybe you're adding a new line, or have new ingredients. Maybe you are simply growing and ready to take this next step. We can help you start. Time to run faster? To manage new bulk densities? To reduce costly labor spent cleaning spills and dust in your unloading area? Safety a higher priority? Time to eliminate fork trucks and simple support bars? We can help you improve operations. 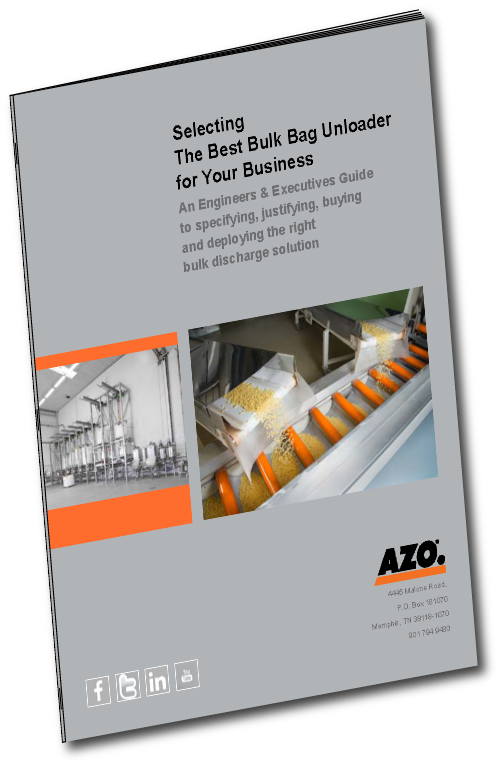 Comparing bulk bag unloaders should be pretty simple. However, this is often the only place your raw materials are exposed to contamination and your workers are at risk with heavy FIBCs. So take your time and do your research. Our free, 14-page downloadable guide can help. This guide is for engineers, operations and business executives. 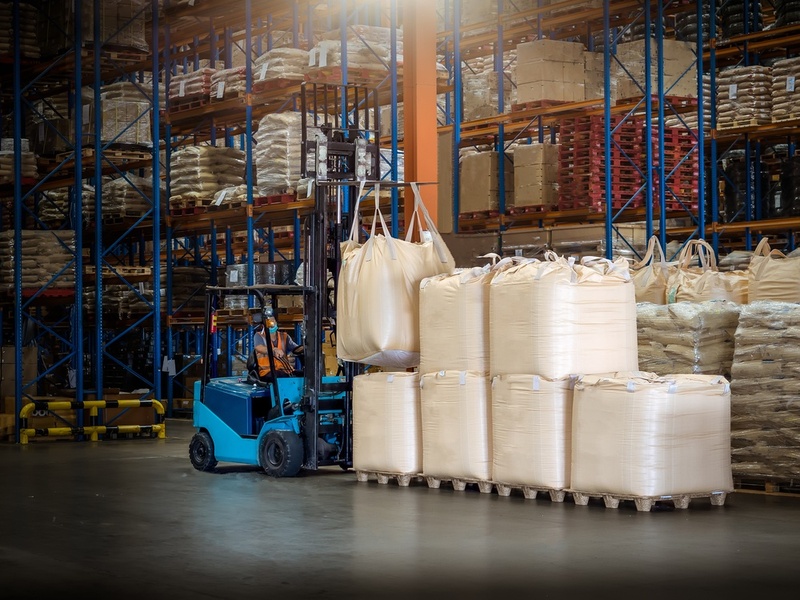 It takes a systematic and logical approach to specify the key features you need, justifying the capital expense, and comparing competitive bulk bag unloaders. It's brand-agnostic because while we hope and believe you'll ultimately select a modular system from AZO, we're first concerned with being your trusted research resource. AZO, Inc. is the U.S. subsidiary of AZO Germany with operations around the world. 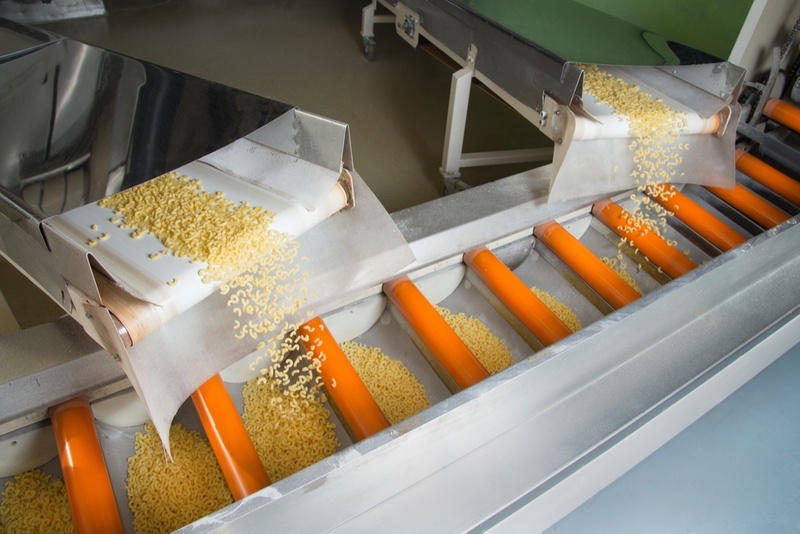 Our equipment automates the safe handling of large, medium and small components in granular, powder and liquid form, and we specialize in the automated handling of raw materials and of processes. We're a single-source supplier of engineering concepts, individual components for storage, discharge, screening, conveying, dosing and weighing of raw materials, up to turnkey solutions for entire plants. From our centrally located Memphis, TN location we provide immediate shipment of modular bulk bag unloaders assembled from inventory. It's simple to get a quote and drawing! Years of experience with bulk bag unloaders across thousands of installations, hundreds of companies and scores of industries has taught us the most common requirements and configurations. We stock these in our Memphis, TN location. Ordering and shipping is fast and easy - the first step for you is our simple configurator that helps us match modules to your requirements - with three simple questions. We'll need a bit of info about you first, and then we'll take you to the configurator. Want a Quote & Drawing?